Article and photos by Eric Hurwitz. Page updated on 9/10/17. 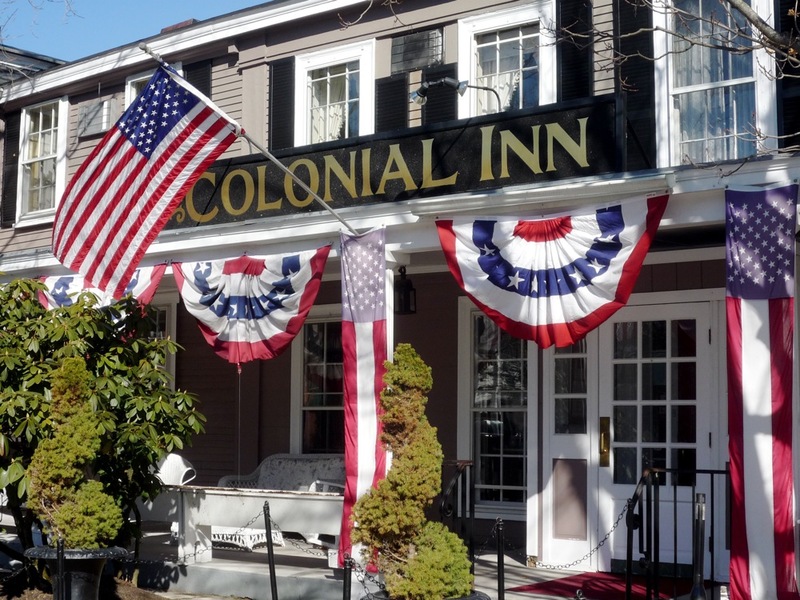 Concord's Colonial Inn, in Concord, Massachusetts, is like the architectural version of Uncle Sam, all decked out in red, white and blue patriotic, colonial glory. The all-American look makes a lot of sense, given that Concord and neighboring Lexington were the locations for the first military engagements of the American Revolutionary War. The Colonial Inn's history is quite fascinating. One of the inn's original buildings was once used, in 1775, for arms and provisions while from 1835-1837, famed author Henry David Thorough lived here before moving to Walden Pond. An inn since 1889, Concord's Colonial Inn, today, is not only a charming inn and restaurant (with wonderful Yankee fare like New England clam chowder, chicken pot pie, and Yankee pot roast), but also a visual centerpiece at Monument Square town common (a key site in the American Revolutionary War) in the heart of historic, attractive downtown Concord. 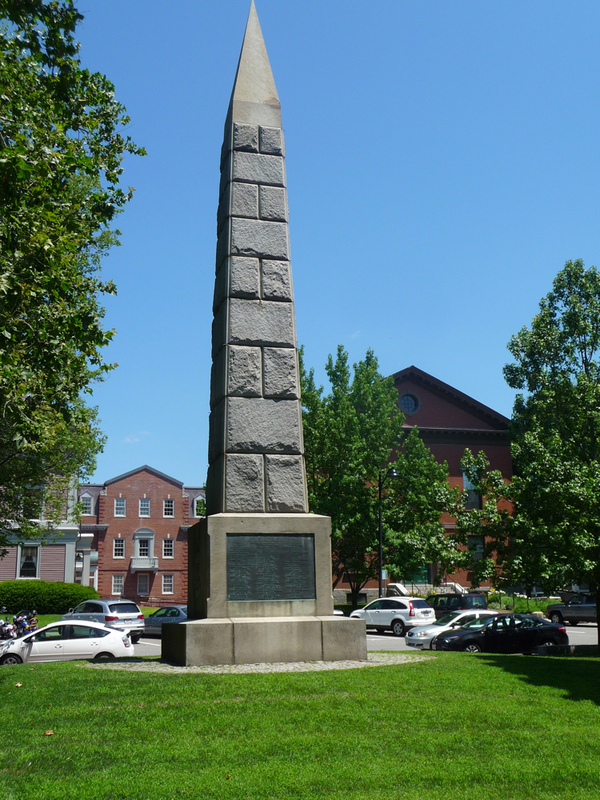 Civil War monument with historic homes in the background at Monument Square in Concord, Massachusetts. 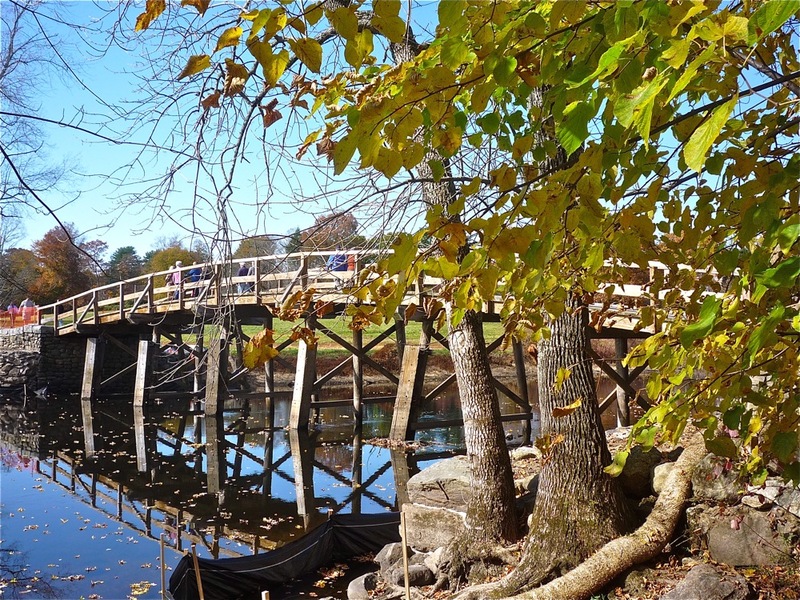 Concord's Colonial walk is also just a few minute's walk to the Old North Bridge -- a famous historical site in the Battle of Concord -- as well as within close proximity of several other Concord attractions and restaurants. Old North Bridge in Concord. 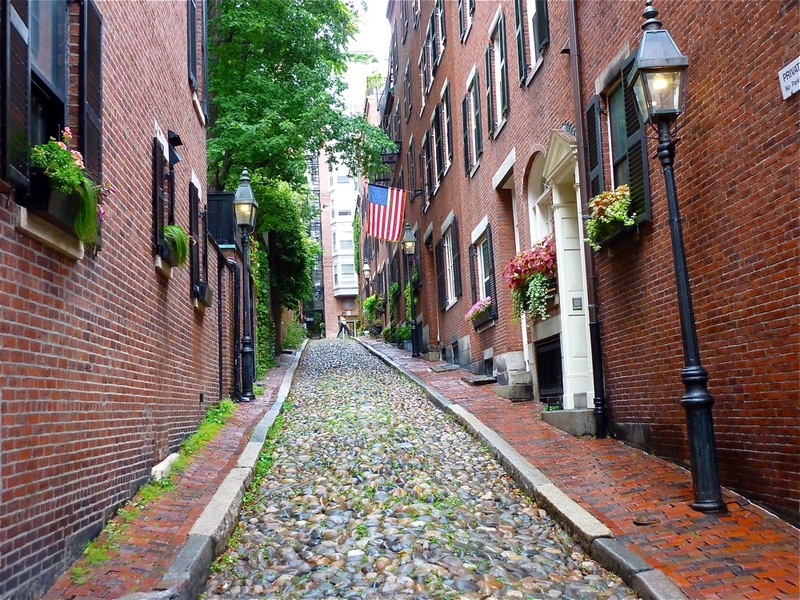 Beacon Hill neighborhood in Boston. Back to the Inn...the exterior of Concord's Colonial Inn features a wide front porch, used today, for rest and relaxation, as well as a place to eat and drink while soaking in the surrounding Colonial ambiance in the form of old buildings and homes. Inside, the feeling is pure colonial, with a post and beam look, a mix of quaint large and small rooms with plenty of unique "nooks and crannies" to create an almost maze-like feeling -- it's quite easy to get turned around. 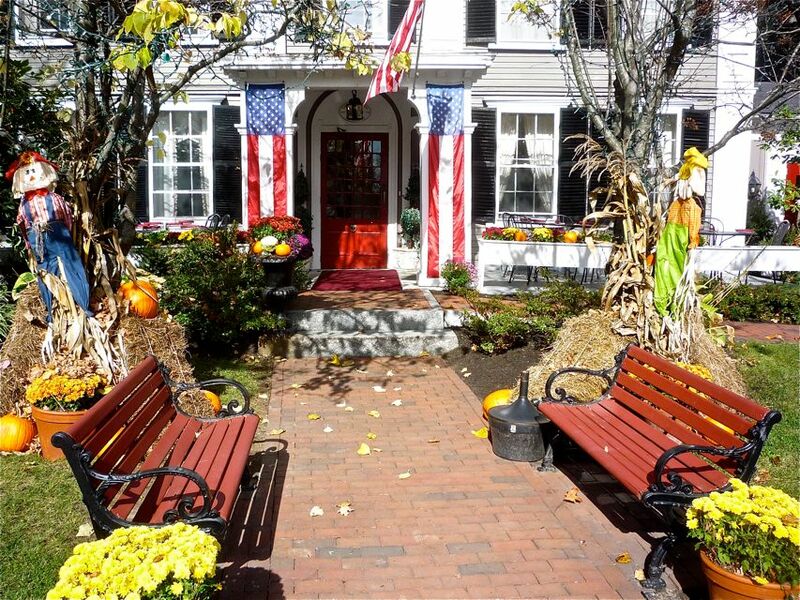 Fall at Concord's Colonial Inn. 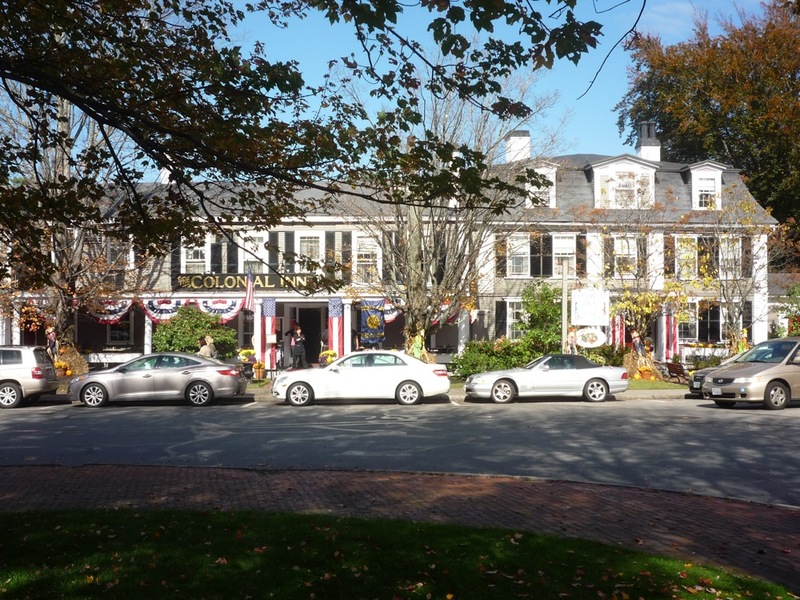 For those in fear of staying at charming inns that happen to be falling apart, have no fear: Concord's Colonial Inn has constantly upgraded its building, while somehow keeping the colonial look fully intact -- a "revolutionary" concept, no doubt! This is truly one of Massachusetts' most beautiful inns -- surely not to be missed when staying in the Concord, Lexington, Boston area. Concord's Colonial Inn is located at 48 Monument Square, Concord, Mass. Tel. (978) 369-2373. 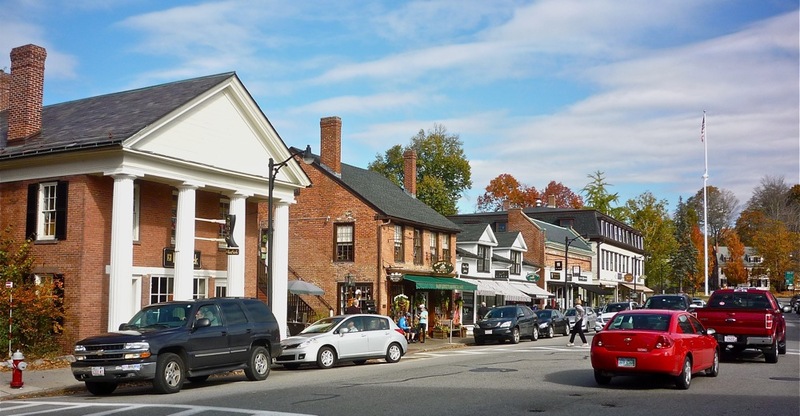 A wide view of Concord's Colonial Inn.